Regular readers know that in addition to discussing school, career, and leadership topics, I also spend lots of time answering questions on my site. Particularly questions about MBA admissions. In fact, I recently looked at some of my most popular posts, and noticed that multiple posts in my top ten were those where I answered questions from my readers. You can see examples of that HERE, HERE and HERE, among other places. Well the good news is that I want to do more of the Q&A. 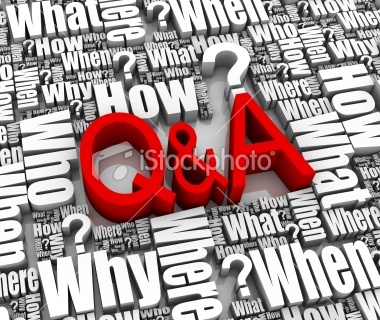 However, starting at some point over the next few weeks, I’ve decided to try a different approach to my Q&A posts. Instead of writing out all of my responses, I plan to leverage more audio and video here on my website. In this manner, I’ll be able to answer questions faster than usual. And I’ll also be able to answer more questions than ever before. That said, please feel free to send in any questions you have regarding admissions, recruiting, or anything. Likewise, if you know someone who can benefit, I hope you’ll share the site with them. The MBA application process is about to get under way, so I’d love to hear what types of questions you have.